Other news: AWARDS AND PRIZES! We are hours away from the announcements of the highly publicized, heavy-hitting Youth Media Awards given by the American Library Association (ALA), including the famous Caldecott (for illustration) and Newbery (for writing) as well as many other notable commendations. Unlike other years where books like Kate DiCanmillo's TALE OF DESPERAUX or Brian Selznick's THE INVENTION OF HUGO CABRET seemed to lead the race early on, this year feels like anyone could take the gold. Though picture books rarely win for the Newbery, I am still rooting for ONCE UPON A TWICE by Denise Doyen, which I do think meets the criteria for a distinguished contribution, and writing a perfect picture book text can certainly be considered as big of an achievement as writing a novel. I can dream, can't I? I really don't see any reason why Mordicai Gerstein's latest book, A BOOK shouldn't win the Caldecott, unless the committee is tired of giving him prizes even when he deserves them. Also getting Caldecott buzz is Peter Brown's THE CURIOUS GARDEN by Peter Brown, THE LION AND THE MOUSE by Jerry Pinkney, DUCK! RABBIT! 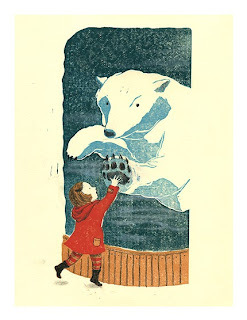 by Amy Krause Rosenthal, illustrated by Tom Lichtenheld, but who knows, maybe a woman will take it this year, like Antoinette Portis for A PENGUIN STORY, or Taeeyun Yoo for ONLY A WITCH CAN FLY by Alison McGhee (I love it when holiday books win prizes); plus, you can still buy affordable gorgeous digital prints by the artist on Etsy, sure to be a coup on Antiques Road Show in the future and a delight in the present. 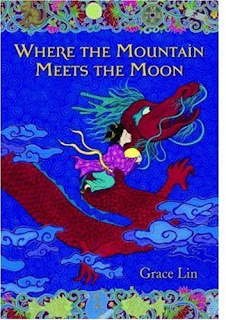 There has been a lot of buzz around Grace Lin's WHERE THE MOUNTAIN MEETS THE MOON for the Newbery, and Lin is an author who is very easy to root for, being such a positive presence in the world of children's literature, though the popular novel for slightly older readers WHEN YOU REACH ME by Rebecca Stead is bound to give it a run for its money, as will the debut novel THE YEAR THE SWALLOWS CAME EARLY by Kathryn Fitzmaurice, a new author in full flight, but I'm also rooting for THE SMALL ADVENTURE OF POPEYE AND ELVIS by Barbara O'Connor, who is a long-time author of realistic fiction that children really enjoy. I think there have also been some really outstanding nonfiction books out this year: YOU NEVER HEARD OF SANDY KOUFAX by Jonah Winter and Andre Carrilho (definitely should be a Caldecott contender if the committee has done their homework), Kathryn Lasky's ONE BEETLE TOO MANY certainly seems worthy of a Sibert nod (or will it be CHARLES AND EMMA: THE DARWINS' LEAP OF FAITH by Deborah Heiligman? Or Jacqueline Kelly's THE EVOLUTION OF CALPURNIA TATE, a Newbery-caliber novel with some nonfiction footing? Darwin's so hot right now...and so are new authors!). Candace Fleming, one of the hardest working nonfiction writers in show (or book) business might finally find herself in the center ring for THE GREAT AND ONLY BARNUM. 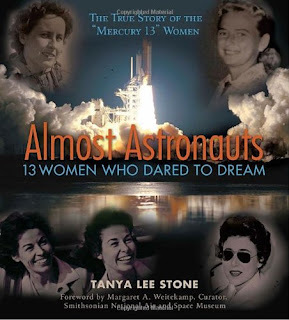 REDWOODS by Jason Chin is a tall glass of excellent in a way that's hard to dispute, and I'll eat my gross frozen astronaut ice-cream if Tanya Lee Stone doesn't moon-land some sort of major accolade for ALMOST ASTRONAUTS: 13 WOMEN WHO DARE TO DREAM. 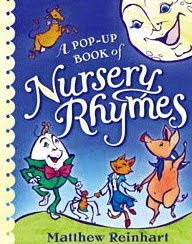 One of my favorite books this year was A WHIFF OF PINE, A HINT OF SKUNK by Deborah Ruddell, illustrated by Joan Rankin; though poetry's always a long shot and this one's a bit of a sleeper in the bunny-eat-bunny world of children's books, I'd be very happy if this one enjoyed the sweet smell of commercial success. 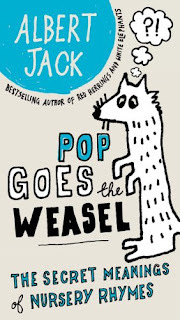 Predictions and arguments always seem to be a major element of these ALA awards, but from a kid's eye view I think it's not as fun having a winner chosen for you as getting to read and decide for yourself what's the best! That's why it's hard to beat the Mock Caldecott and Mock Newbery at the Allen County Public Library, featuring a discussion blog that gives the process a special lifeblood. I have followed these lists for years and find the tastes of Allen County more compatible with mine even than the real awards, as children are deeply involved in the process (imagine that!). The list of nominations is a very valuable for young readers and all lovers of children's literature, worth exploring all year and any year. The Sydney Taylor Awards were just recently announced, which is kind of like the Jewish Newbery and Caldecott. As the saying goes, "you don't have to be Jewish" to enjoy the thoughtful picks by the Association of Jewish Libraries, an organization made up of professionals who aren't afraid to debate tooth and nail to determine the best of the best (go see for yourself sometime at the sessions of their annual conference if you get a chance, the spirited conversations about books that happen there are some of the best I've heard in the industry), so winning a Sydney Taylor is an honor indeed. 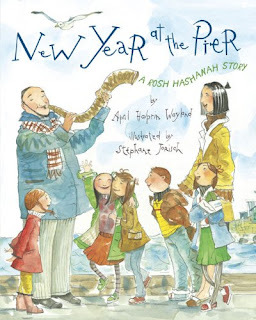 I was especially excited to see that the lovely NEW YEAR AT THE PIER: A ROSH HASHANAH STORY by April Halprin Wayland, illustrated by Stephane Jorisch (Dial) took the gold for young readers. Last but certainly not least, there are the Cybils (tra-laaaa!) the amazing Children's and Young Adult Blogger's Awards, with picks nominated by dedicated and passionate children's book reviewers from the farthest reaches of the Kidlitosphere. The timely lists of nominations are just as important as the winners when creating collections and knowing what's out and notable in a given year. 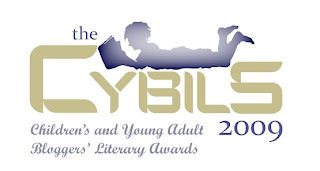 The Cybils cover a comprehensive gamut of genres and represent a broad range of reading abilities. These awards have a unique energy, and even though there are winners the process seems more inclusive than exclusive, both of creative artists and readers in general. The public benefits of nomination is another opportunity for authors and illustrators to gain viable exposure in the marketplace, and a chance for readers everywhere to shout, "hey, that's a good book!" This transparency of process and assured exposure for many types and reading levels of children's books is a virtue that is sacrificed by ALA awards in the interest, I suppose, of avoiding outside influence, though the Newbery and Caldecott continues to provide a nice overview of the timeline of children's literature. It just goes to show how a variety of awards are necessary to draw the big picture and tell a whole story, and a variety of books in our culture does the same. 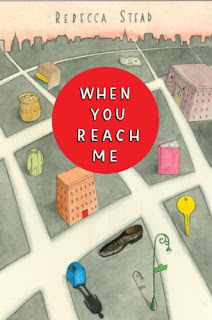 Whoever wins awards, you can find a place to make your vote count, and no book is a bigger winner than the one that connects with an individual child and opens to the first chapter of a lifelong love of reading. Annual "PlanetEsme Picks" list coming soon, as well as some predictions about the future of children's books in general for your consideration and debate. Stay tuned! Thanks so much for writing about the Cybils, Esme. And of course I agree with you 100% that "no book is a bigger winner than the one that connects with an individual child and opens to the first chapter of a lifelong love of reading." 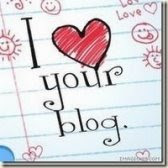 Thanks for mentioning the ACPL blogs, Esme. We love reading -- can you tell? -- and it's so much fun to share this joy with others both in our community and around the net.